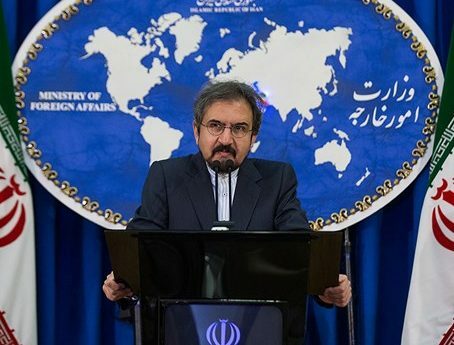 Iran’s Foreign Ministry spokesman has strongly condemned US President Donald Trump’s decision to recognize Syria’s Golan Heights as Israeli territory. In a Friday statement, Bahram Qassemi slammed the decision as “arbitrary and impulsive”, saying such moves would move the volatile region of Middle East towards back-to-back crises. “As an occupying regime, the Zionist regime [of Israel] does not have sovereignty over any of Arab and Islamic territories, and this regime’s aggression and occupation should be ended soon,” said Qassemi. “Based on the United Nations Security Council resolutions, Golan is an occupied territory of Syria, and the only solution to the issue is to end the occupation [of Golan Heights],” the spokesman added. “The seizure of this land via occupation and aggression is condemned, and the US president’s interventionist decision on the issue of Golan will not only not change the fact that it is part of the Syrian soil, but also bears witness to the failure of decisions aimed at making compromises,” he said. “It also proves the resistance front is on the right path and that resistance is the right thing to do in the face of the United States and the Zionist regime’s expansionist and aggressive attitude,” he added. Qassemi also touched upon Trump’s behaviours in violation of UN Security Council resolutions as well as international rules and principles. “His personal and impulsive decisions have unmasked yet another instance of the United States’ real policies – policies which are dangerous for the whole world, and will particularly push this sensitive region (the Middle East) to the brink of back-to-back crises,” he added. The spokesman warned against such bullying behaviour by the US and the Israeli regime, which can trigger a fresh wave of conflicts in the region. “The Islamic Republic of Iran will closely monitor all upcoming developments and will adopt appropriate policies in cooperation and consultation with the government of Syria and other countries,” Qassemi said. The US president recently declared his bid to recognize Tel Aviv’s sovereignty over the Syrian territory of Golan Heights.